What an amazing 60 minutes of TV that was! Steven Moffat has capped off Series 10 in an utterly satisfying way, giving us a finale that will be remembered in the annals of Doctor Who history for some time to come. We pick up pretty much where World Enough And Time left off, and thanks to some little flashback scenes to move the story forward a bit, we find The Doctor has been captured by Missy and The Master and that the Cybermen are planning an en-masse attack. The battle lines are drawn, and there is a feel of The Time Of The Doctor about this episode. Missy and The Master are deliciously despicable together, but you sense the disparity between them. It is clear that Missy is conflicted and that she really does want to change, but The Master is so deeply rotten, that you don't know which way she will settle. There's a particularly poignant moment where The Doctor gives a passionate speech to the pair and you expect John Simm's Master to at least show a glimmer of hope, but even we were shocked at his response; it's pretty heart-breaking, actually. What happened that made these two best friends go down completely different paths, and what made The Master hate The Doctor so much? We do learn a little more about what happened to The Master after the events of The End Of Time, and that after returning to Gallifrey there was a "mutual decision" to kick him out, in turn, removing the drum beat in his head. Both Missy and The Master's story / timelines are wrapped up by the end of The Doctor Falls, with maybe a little wiggle room for John Simm's Master to return. We have loved Michelle Gomez as Missy, but we're not quite ready to say goodbye to Simm's Master yet - he has found the sweet spot as The Master (possibly our favourite portrayal of the character to date) and if the show's producers can find a way to somehow retain him, they really must! One final point regarding Missy / The Master is that Steven Moffat makes a decision that would have been so wonderful to see through to fruition, but, rather cruelly (and totally for the right reason), we never will. Were not 100% sure, but we think this is our last episode with Nardole, played so wonderfully by Matt Lucas. He has been the comic relief that has been needed in a season with such high stakes, and whilst we fully admit we weren't a fan of his character at the very beginning, all the way back in The Husbands Of River Song, he has completely won us over. Nardole gets to show his mettle in The Doctor Falls, and there's even a glimmer of a happy ending. After the terrible events of the previous episode, Bill is coming to terms with what has happened to her, and its crushing to see. The big question is can she ever go back to the way she was before the cyber conversion? The answer lies somewhere in this spoiler-free preview! In The Doctor Falls, Pearl Mackie has delivered her finest performance to date in Doctor Who, and after the events of this episode, we really hope it's not her last. What she has done for the role of the companion, equality and diversity is truly amazing, and she has inspired and empowered a whole new generation of fans. We've run this fan site for over 20 years now, and we've never seen a companion received as well as Bill Potts has! And finally...Peter Capaldi as The Doctor; his final days are numbered, and with Christmas just a few months away, we have just a little longer to prepare ourselves for the inevitable regeneration that's coming - even if there may be a few false starts along the way ;) It was so good to see The Doctor share some decent screen time with Missy and The Master, and you'll want to lap up every second they are all in together. There is very little we can say about the end of the episode except we end at the beginning. Steven Moffat's contribution to Doctor Who has been immense; rich characters, scary monsters and plots that actually make you think and make you feel clever for following them through to conclusion. He's made gutsy decisions that take the show (and its characters) into bold new directions. But even with all that in mind, he has taken a show that we all love - including himself - and stayed true to its roots. We'd like to go on record by saying a big Thank You to Steven for all he has done, and we are going to be very sad to see him go. With just one episode to go at Christmas, we know he's going to go out with a bang, and the aftershocks will no doubt be felt throughout Doctor Who fandom for many years to come. 3) "Where there's tears, there's hope..."
4) "I don't want to go!" 5) The _______ will ______ at _________. 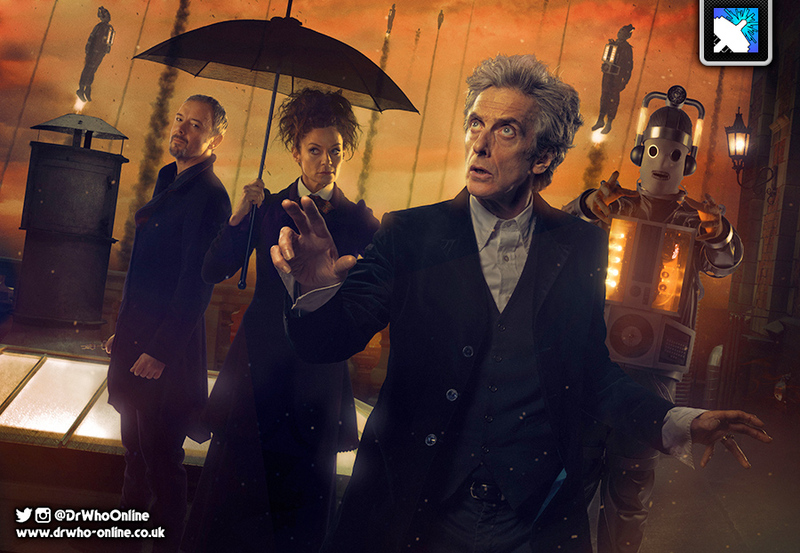 + 10.12: The Doctor Falls airs This Saturday at 6:45pm on BBC One. 8.1: Deep Breath - DWO Spoiler-Free PreviewDWO’s spoiler free preview of Episode 8.1: Deep Breath6.4: The Doctor's Wife - DWO Spoiler Free PreviewDWO's spoiler-free preview for 6.4 The Doctor's Wife.10.11: World Enough And Time - DWO Spoiler-Free PreviewThe Doctor Who Online Spoiler-Free Preview for Series 10, Episode 11: World Enough And Time.